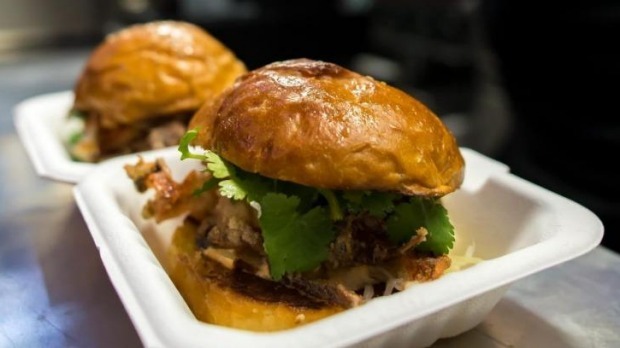 Less than three months old, the Hammer & Tong Food Truck is chef and co-owner Simon Ward's nod to the progressive food truck movement he and his business partner, Dennis Ferreira, encountered in the US. Bringing signature dishes from their Fitzroy-based restaurant to the streets, the soft shell crab burger ($14) is an absolute standout, with crispy fried whole crab cushioned between a light and fluffy bun, with sriracha mayonnaise, black sesame slaw, and coriander – the lavender yoghurt custard ($8) the perfect finish. 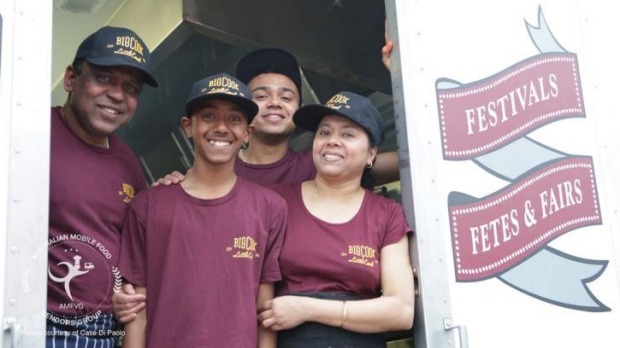 The name may refer to father and son duo, Raymond and Conan Gomes, who can be seen hard at work through the fold out window, but the entire Gomes family plays their part in creating Big Cook Little Cook's seasonal Asian fare. Boasting a purpose built-tandoori oven on board, temperatures of up to 600 degrees ensures maximum authentic flavours in minimal time. Get in early for their signature sell-out butter chicken ($13) comprising juicy meat with a subtle smoky aroma that's both spicy and sweet. Serving fresh, refined, artisan street food that takes its inspiration from founder Amy Roberts' travels throughout Europe and the Middle East, Trailer Made uses seasonal produce to create restaurant-worthy dishes. Slow-cooked spring lamb ($14) rests upon a carrot, green chilli, almond, and currant salad with a drizzle of yoghurt dressing (almost too pretty to eat) that is best washed down with a glass of special brew iced tea ($4). Flavours are further enhanced with the knowledge that dishes come served in biodegradable packaging. Featuring four toasties at a time, each sandwich at Toasta is so named after the personalities behind who would eat them. Think you're a Barry? 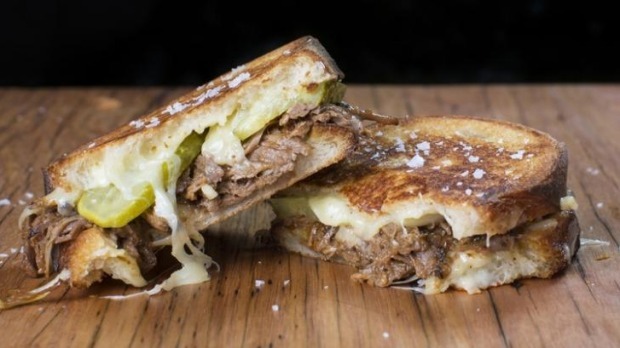 You're not alone, the organic cheddar, slow-cooked brisket, dill pickle and homemade smoky BBQ sauce toastie ($12) is a favourite with Melbournites, the vegetarian four cheese blend, Sammy ($11), is a close second with ricotta, fetta, parmesan, and mozzarella pressed with blanched spring greens between Zeally Bay organic sourdough. There are also equally pleasing "not-toasties" offerings if you can bring yourself not to Barry. Sensing a gap in the market, entrepreneurial brothers behind the Belgian Waffle van, Jack and Bart White, couldn't go past the sweet, custard-based French crème brûlée for their next venture. Made using the highest quality locally sourced ingredients they can find, brûlées are torched to order, creating a crispy shell that covers the gooey goodness beneath. Flavour highlights include salted caramel and popcorn, and classic vanilla bean – at only $8 a pop you'll be hard pressed to stop at one.